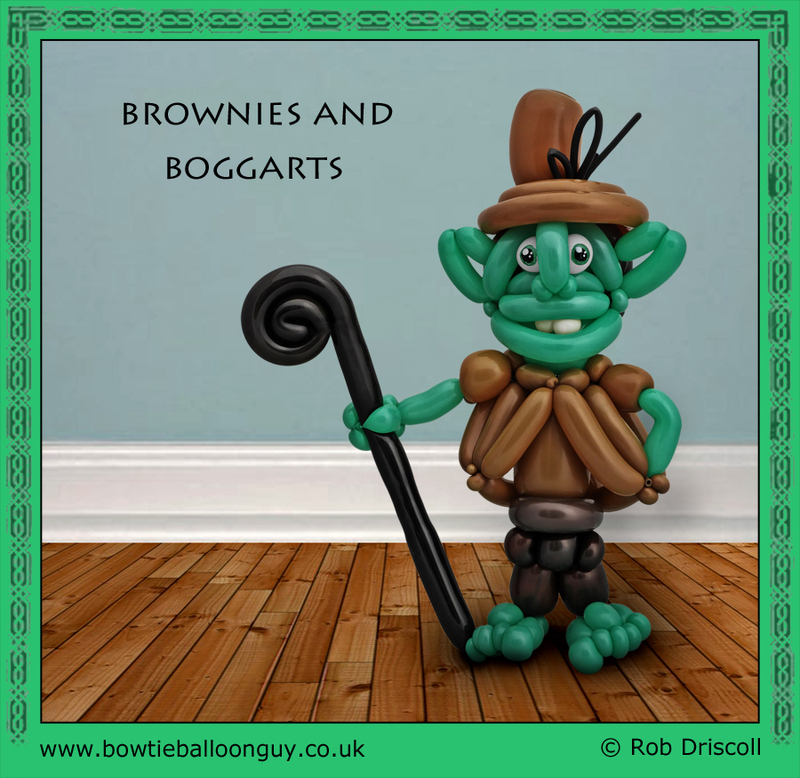 This week I continue my series of myths and legends with this little chap called a Brownie, for anyone who is a Harry Potter fan you may find some of this sounding familiar. Brownies are usually found all over the UK, in Scotland they are known as Broonies, they are household spirits, usually male and if treated right they are fairly useful around the house. At night while the home owners are asleep they will come out of their hiding places to perform various chores and sometimes even farming jobs. The humans who live in the house should leave a small offering for the resident brownie, something like a saucer of milk or some cream will suit the brownie perfectly. It is hard to say what a Brownie looks like as they are rarely seen, In Roman times it was thought that they were human sized but in more recent times it is thought they were smaller, very ugly and could turn invisible or shape shift into different animals as a disguise. Here is where it may start to sound familiar for Potter fans, The Brownie will quite happily continue doing the various chores IF they are looked after however there are several ways to lose your Brownie, If a person attempts to present a brownie with clothing then he will leave forever never to be seen again. You must never criticise your Brownie or the work that he does, If you do he may fly into a rage and destroy any of the work he has done. If your Brownie gets too enraged then he will turn into a Boggart, as you can imagine this is a very mischievous spirit and difficult to remove from your property. Thankfully most Boggarts now live in the north of England in places such as Boggart Bridge in Burnley, At the Boggart Stones on Saddleworth Moor and at Boggart Hole Clough in Blackley, Manchester. So let this be a lesson to you all, treat your Brownie with respect and feed him his saucer of milk every night.